What's left to be said about Thailand? As I'm interviewing an International TEFL Academy staff member - who we’ll call “Erika” - she gazes out the window’s display of winter wonder-Chicago-land, and dazedly reminisces about her experience, not long ago, teaching in a warm, magical place called Thailand that is also one of the top job markets for teaching English in Asia. Asia is known as one of the most lucrative regions in the world & while Thailand is not the most developed economy in Asia, it is a nation on the move and many English teachers are able to make enough to save 30%-50% of their income after expenses. Conservatively, a typical first-time English teacher in Thailand can expect to make 30,000 - 35,000 Thai Baht (approximately $850 - $1000 USD) and many are able to make more. This means that most English teachers can realistically expect to save $150 - $250 USD a month and in many cases, teachers actually make enough to save up to $500. Salaries & living costs will vary on region and from school-to-school. Those with prior teaching experience can often make even more. Does $1000 seem like a low monthly salary? $1,000 a month may not seem like a livable wage in major US cities like San Francisco, Boston or Chicago, but the key to remember is that the costs of basic goods & services in Thailand - including food, travel & rent - are typically a fraction of what you would expect to pay in the US or Western Europe. In Bangkok or Chiang Mai, you can eat a full delicious meal for equivalent of $1-$2 USD and your rent will be a fraction of what it might be in any American city. If you are able to save $250 USD in Thailand, in terms of purchasing power, that's roughly equal to $1,000 in the US. World class white sandy beaches with the most vibrant turquoise water; the admired of friendliness of the locals and welcoming nature of the culture, the food, nightlife, and on and on – who can’t but blame "Erika" for not staying and teaching another 3+ years! She has graciously lent her experience and expertise in teaching English in Thailand to provide you with resources and tips for saving money as an English teacher in Thailand. Here are some of her top financial tips for those interested in teaching English in Thailand. 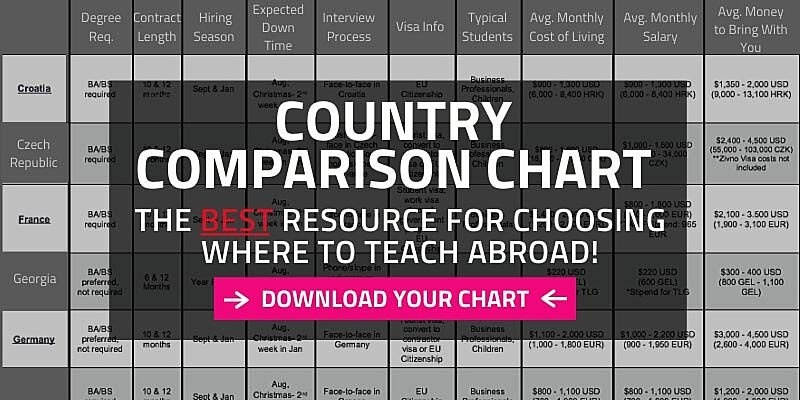 Refer to the ITA Country Chart, which will give you the monthly average salaries, start-up costs, and the cost of living for English teachers in more than 50 countries worldwide, including Thailand. These numbers are typically conservative figures and in fact, you can make more with your TEFL certification if that is a priority to your goal of living overseas. Check out the Thailand Country Profile for a full overview of teaching English in Thailand that covers hiring requirements, interview procedures, visa specifications, salaries, start-up costs, TEFL certification options & more. In addition, you can access dozens of relevant articles, videos & alumni interviews. 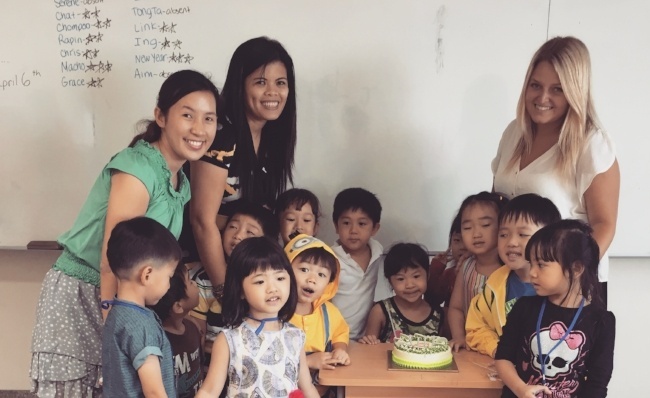 Looking for firsthand accounts from people teaching English in Asia? Visit our Alumni Stories to access hundreds of interviews, articles & videos from ITA graduates teaching English in Thailand and throughout Asia. You can also check the ITA Alumni Facebook page to pick up tips from ITA alumni who are living and teaching English in Thailand. Numbeo: This handy website provides a breakdown of living costs and provides comparisons of costs for basic goods & services in Thailand compared to the US. Get TEFL certified! If you want to give yourself the best chance to get a good job at a good school that will pay you a good salary, you need to possess professional level teaching skills and possess a recognized qualification. Most schools in Thailand require an accredited TEFL certification. Do not pay someone to help you find a job in Thailand - it is not necessary! 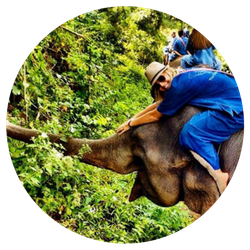 When she started in Thailand, Erika made a choice to purchase a program with a set job and it ended up costing her on the front end in addition to upwards of 40% of her salary during her first year compared with her peers doing the same job. You don't need to pay a program, when you can directly apply and interview for any of thousands of jobs that open in Thailand each year. All International TEFL Academy students & graduates receive comprehensive Job Search Guidance, which will provide you with the resources and guidance you need to apply for top jobs and gain employment teaching English in Thailand. These resources include detailed information about visas; resume/cover letter assistance; guidance for getting your criminal background check; contact information for hundreds of schools in Thailand; access to top ESL job boards; and referrals to top recruiters (that won’t charge you or take part of your salary without even giving you a choice in who you work for!). Some Schools Offer Free Housing to English Teachers: Some schools, especially in areas that do not get the same attention can offer free housing. Typically prices are cheaper outside of major tourist or city centers - so you can do well for yourself to find something outside of the bustling chaos of a place like Bangkok for example. Speaking of housing, (typically one's biggest expense) it is pretty cheap in Thailand by US standards. In fact, it’s about 60% cheaper. That said, if you don’t get your housing for free, it will still remain affordable & you will still be able to live comfortably and save extra money for extra travel & other pursuits. Share Your Apartment with a Roommate - And even though it’s not popular for English teachers in Thailand to have roommates since rent is cheap, you save even more by sharing the cost of living space. Give Private Lessons: Now Erika is cool and super pro, so she was in demand as an English teacher. Beyond working for a school, she also private tutored students as a way to help more people in the local community and save extra money for more weekenders around Thailand and in the region. A typical first year ITA TEFL Certified teacher can earn up to $25 - $50 or about 1,000 – 3,000 Baht per hour tutoring English. Experienced teachers like Erika can make up to double that. In addition, with the newer trend of teaching English online on Skype, you can be tutoring English learners anywhere from anywhere, provided an internet connection. Add tutoring as a great way to give back and make more money! Pro Tip! Stay tuned to the ITA Alumni Thailand Facebook page to get tips on the local market for private students. Also, be sure to meet and network with the local community of English teachers. Not only will you make new friends and get invaluable advice, you may be able to pick up private students from other teachers who may be leaving or moving away. Take on Extra Hours at your School - Still need more scratch? Many schools offer an option to teach an after school hour Monday – Thursday. It is a creative session and fun hour with your students (that parents pay extra to have their child attend), which can net you around an extra 6,000 Baht ($175 USD) per month. Seek out Teaching Jobs that Include Paid Vacation - And how about this inside baseball from an industry professional: inquire with employer prospects about paid vacation. 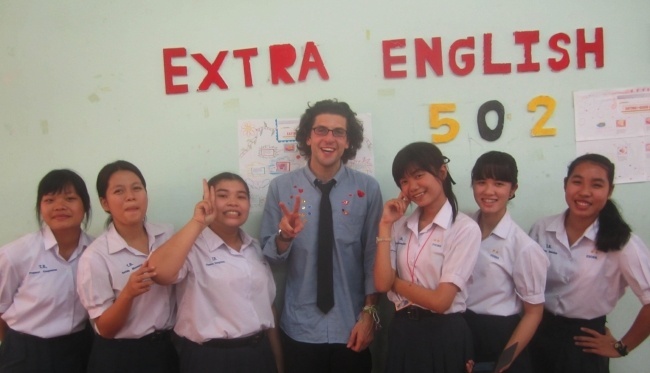 English teachers in Thailand generally get two breaks, one for 4 weeks and another for up to 8 weeks! Some employers will pay you over those breaks and even more, those same schools can often offer summer camps or work hours over said breaks. So, you can earn double pay for working over breaks, which you're already getting paid for! The Big Takeaway: Do your research & use these tips to make the most of your experience teaching English in Thailand. What else is there to say about Thailand? Go and find out! 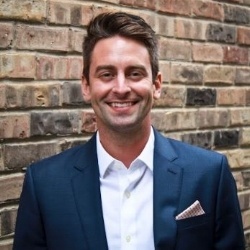 Since becoming disillusioned and bored with his old corporate job in Chicago more than five years ago, Shay has made it his life's work to help others travel the world by teaching English abroad. One of the most senior advisors on the team, Shay is known for his quick wit & his passion both for Pittsburgh sports & international travel.